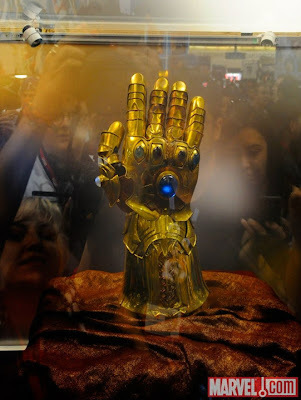 So images of this starting popping up recently and for those with nerd knowledge you aren’t dreaming – this is in fact a picture of an Infinity Gauntlet replica that was also revealed at Comic Con this past weekend! Damn I really need to start visiting San Diego during this time of year! 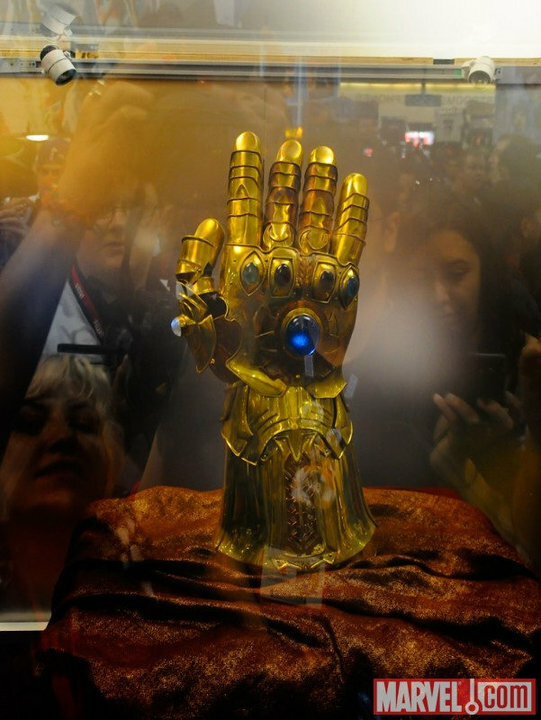 The Infinity Gauntlet was a weapon in the Marvel Universe used by the mad god supervillain Thanos. On the gauntlet are the six Infinity Gems that when combined gave the user infinite power.